UPPERROOM's morning, noon and night prayer movement began in 2010 when Pastor Michael Miller and his wife began gathering people to pray for the city of Dallas in an area Miller describes as a “church-planting graveyard.” The name wasn’t taken from Acts 2 as one might logically assume. It was called UPPERROOM because that’s how the businessmen who owned the building naturally referenced the empty, original-meeting space upstairs. A broader glimpse of UPPERROOM’s heartbeat can be heard on the collective’s new five-song set, aptly titled Moments, a collection of live “moments” recorded during spontaneous worship in the Prayer Room. Read More UPPERROOM's morning, noon and night prayer movement began in 2010 when Pastor Michael Miller and his wife began gathering people to pray for the city of Dallas in an area Miller describes as a “church-planting graveyard.” The name wasn’t taken from Acts 2 as one might logically assume. It was called UPPERROOM because that’s how the businessmen who owned the building naturally referenced the empty, original-meeting space upstairs. The songs showcase instances of authenticity and surrender. It’s a poignant snapshot of what’s been taking place behind closed doors in Dallas for some time. It’s just that, now, the world is taking notice. For this EP you get 5 tracks, two hours of music and a lot of spontaneous worship moments. Let’s get this out of the way first. They spelt the album wrong. It’s called Color but for us Brits it’s Colour! #JustSaying. UpperRoom have embraced the modern worship style of hushed airy vocals and atmospheric music with both hands. As you might expect there is a lot of space on this album, but more about that later. Opening song 'Shepherd' hits the eleven minutes mark but is far from the longest track on the album. When you have a song like this in any worship setting, it leads you to stand in the presence of God with yours eyes closed and hands raised in praise. It’s the kind of song you need to let wash over you. The only negative I found was the random clapping in the tracks as it sounds like someone a bit too close to the mic when clapping. For me it distracts. I know it is an album that captures a raw worship moment, but when you hear the same person clap at the same time every time you listen, it distracted me. Ever wonder what 50mins of non stop worship music sounds like? 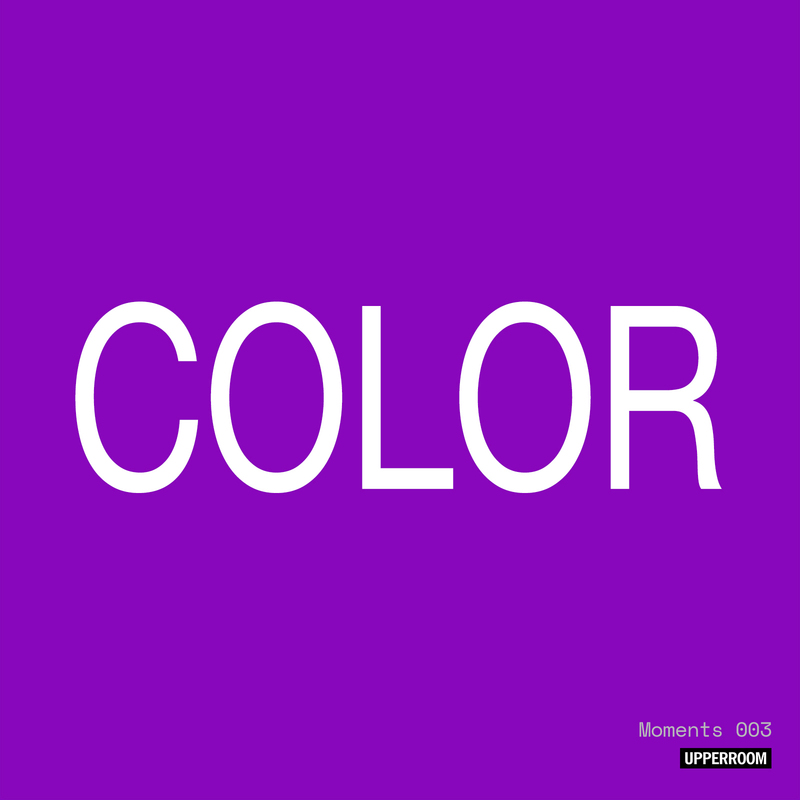 Well let me introduce to you the track 'Color'. Yes you read that right. 50 mins. This one track is longer than the first half of a soccer game, and longer than some entire albums! The song is a raw moment captured on a record featuring just a vocalist and a piano. This is music for times of prayer. I just personally never expected a track of this length to be released as one track, but I’m sure people will find a great use for it in their quiet times. From a creative and even musical aspect, there is a lot of repeated chords and lines and it can sound all the same for long periods of time during the track, but you kind of expect that. Yet some of the lines that spontaneously come out are so powerful and actually it’s an amazing feat I don’t think many albums/tracks have ever been released like this. The same could be said about the track 'Rest' which again is a massive 37 minutes long. As the title says this track is for you to rest to. Again it’s another track to wash over you as you pray. There is a lot going on during the song 'The Father’s Song'. You can hear the Holy Spirit moving in the congregation of worshipers there. The last track is the most upbeat track on the album even if the line “you are holy, holy, holy” is repeated a bit too much. Still a good song. It’s been a hard album to review as there is so much going on here. I feel this is more of an album of a moment that happened. Which as a release shouldn’t really work, but it kind of does. It will not work as a release for everybody but if you're looking for an album that takes you on a big a long worship journey, with so many tender spontaneous worship moments, it’s worth looking into this release and with a full album out soon it will be interesting to see where and how that goes. And how long it is!